We all struggle at times with challenging behaviors from our children. Please join us as we are taught some tips on how to use Love and Logic in our homes. 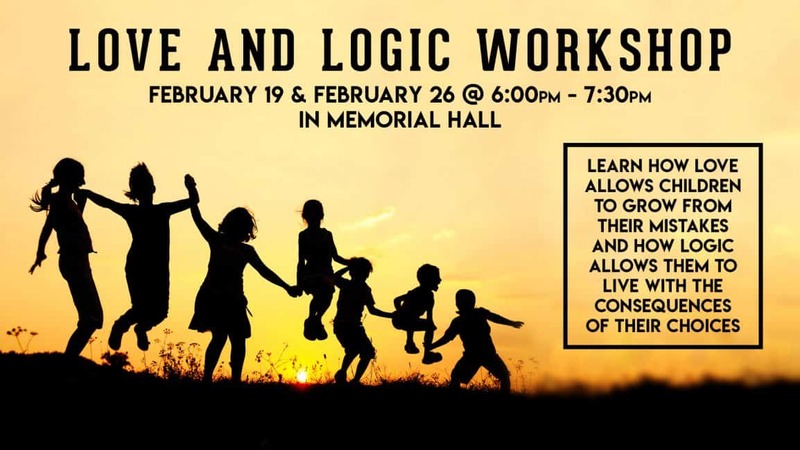 Love and Logic focuses on parenting through love to allow children to grow through their mistakes; and through logic to teach children to live with the consequences of their choices. This class will be taught by two women who use Love and Logic both personally with their own children and professionally as elementary school counselors. We will provide childcare with dinner for kids up to age 10 (sandwich, chips, applesauce). We’ll have snacks for the adults. Please RSVP to Nina Verbanaz at nverbanaz@sumc.co with the names and ages of children needing childcare.